What if the Melbourne Storm salary cap scandal was never discovered? The history of the NRL is marked by moments where a single event has drastically altered the future of players, clubs, administrations and fans alike. 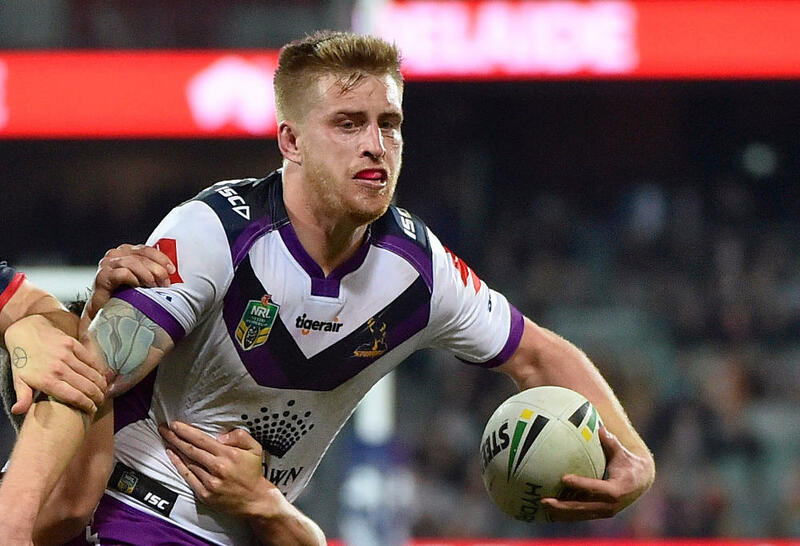 The purpose of this article is to theorise what the NRL landscape would be like if one its biggest scandals never saw the light of day – the 2010 Melbourne Storm salary cap rort. There is no malice or sledging intended with this article it is simply an exercise to see how the NRL would have unfolded over the last decade in this alternate history. How this drama unfolded began with a single whistle-blower informing the NRL that the Storm were keeping a second set of books. The NRL began their investigation and continued through 2009 and 2010. This investigation subsequently led to the Storm’s confession of systematic breaches of the salary cap by running a well-organised dual contract and bookkeeping system. This left the NRL ignorant of $3.78 million in payments made to players outside of the salary cap. Premierships were stripped, points were lost and players were shed to get the Storm salary cap compliant in the 2011 season. For this alternate history to occur it could simply be a case of this whistle-blower never coming forward, from there the investigation never occurred and the storm avoided the penalties imposed on them. If this scenario was to occur some of the key consequences of this History are as follows. The investigation revealed that four players were the main if not sole beneficiaries of these payments (Inglis, Billy Slater, Cameron Smith and one other unnamed player) at the time. To this day there has been no evidence that they were aware that these payments were unlawful. With the penalties not enforced, the Storm do not need to shed players and Inglis (whose departure greatly reduced the salary cap pressure) was able to remain at the club as opposed to signing with Souths. He would continue to be part of the spine along with Cronk, Slater, and Smith. The team is largely unchanged due to Bellamy’s ability to build a team around a core of superstar players, with the remainder of the team as a supporting role. With Inglis still in the team and without the distraction and loss of points in the 2010 season, the Storm are able to finish second on the NRL ladder. The Sea Eagles, who were eighth, miss out. In the first week they are able to beat the Sydney Roosters (eliminating them from the finals) and go on to take their place in the grand final after eliminating the Gold Coast in the preliminary finals. In 2011 despite a spirited Warriors performance, they are able to beat them in the preliminary final and for the third time face off against Manly in a grand final. Due to the calibre of the 2010 Dragons and the 2011 Sea Eagles it is impossible to determine who would have come out on top. In 2012 the season is largely the same with the Storm powering over the Bulldogs in the grand final to secure the premiership. This run of seven straight grand finals sees them as arguably as one of the greatest NRL teams in history and puts them on par with the dragons of the ’50s and ’60s who won 11 straight premiership but in a time when there was no salary cap. With Greg Inglis never joining South Sydney this leaves a significant whole in the South Sydney attack, despite a powerhouse forward pack they struggle to put away top teams. After falling one game short in 2013 with a loss to Manly they suffer the same heartbreak a year later. With the Roosters jumping out to an early lead and without Inglis in the backline the Rabbitohs fall just short in the preliminary final with the Roosters going on to beat the bulldogs in the grand final. This win avenges the Roosters GF loss to the Bulldogs in 2004 and they become the first team to go back to back since the Broncos of 1997-98. Sam Burgess still goes to rugby union for the 2015 Rugby World Cup, he returns to Souths but with Inglis not on their books they are able to retain players like Issac Luke and Dylan Walker, despite still chasing their elusive title the team is sitting comfortably positioned in the top eight and poised for another finals appearance in 2017. In relation to the Sharks, the 2016 grand final is played out between the same two teams and like 2010 and 2011 it is impossible to predict who comes out on top. A silver lining for a few punters was that at the time of the scandal the Melbourne Storm were $4.20 to win the title and $251 to receive the wooden spoon. Some punters with good contacts were able to bet on the Storm to receive the wooden spoon before it became common knowledge. TAB claimed that at least $500,000 was paid out before betting was suspended. To this day can no longer bet on wooden spoon only for which team to lose the most games. 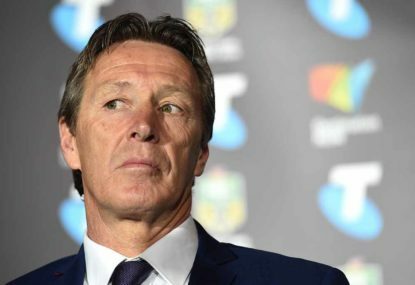 Brian Waldron resigned six weeks into his tenure at the Melbourne Rebels due to the scandal, whether he left prior to because of the scandal or whether it was unrelated is hard to determine. If Waldron went to the Rebels, Super Rugby wasn’t held to a salary cap (at least the Australian teams) until 2011, however there was talk of it in 2010. With Waldron’s alleged expertise and given the Rebels is privately owned, from 2010 onwards Waldron incorporates the same system with the Melbourne Rebels and in a matter of years the Rebels have managed to attract top Australian players along with international stars to the franchise. This makes it significantly more competitive and in the preceding years is seen as the preeminent Australian Super Rugby franchise – an example of the benefits of private ownership for the Super Rugby clubs. It’s amazing how events can change the course of history and always enjoyable to theorise what might have been.